Often certain narratives about films begin within the movie going public which just prevail. Most people don't see that many films and so we just assume certain films are good, bad, or indifferent based on the common mood. 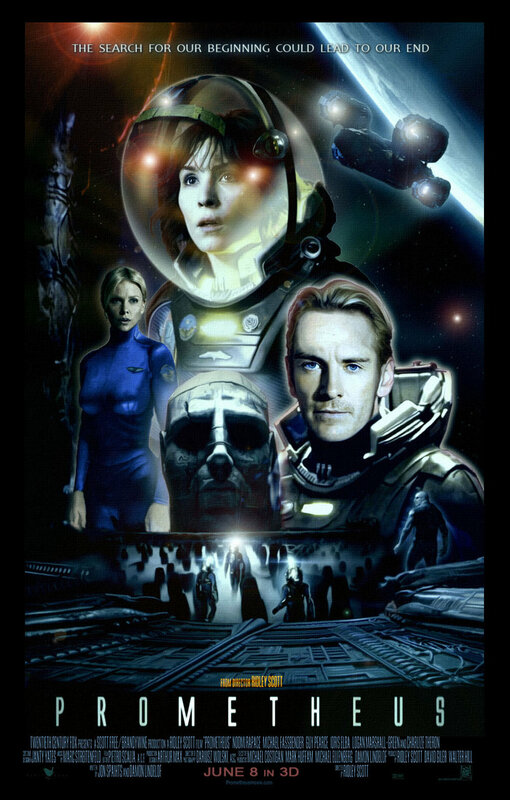 The generally accepted narrative around the Alien prequel Prometheus (although certified fresh on Rotten Tomatoes for all that is good for) is that it's "disappointing." I have never understood that. Certainly Alien is one of the best movies of all time so perhaps it is "disappointing" that this film doesn't enter the upper echelon of film making majesty. Or perhaps those who dig the hyper-masculine vibe the sequel Aliens brought to the series resent the thoughtful, reflective vibe that this film embraces. There are two main critiques I have heard; (1) characters make dumb choices, and (2) not enough aliens. I guess if the first one is your problem you'll never be happy in any movie cause that happens all the time and I don't find the bad choices characters make in Prometheus to be any more egregious than the ones they do in any other movie. If it's the second, you should just go watch another movie. Because Prometheus is not about aliens chasing people. It is an old school morality tale, perhaps tragic hero arc. The quest to find your maker is cradled in a "careful what you wish for" narrative. It is quite fascinating actually to reflect on the nature of how we understand creation (either religiously, non-religiously, or some other way) and the consequences of that. I've watched Prometheus a number of times since its release and find it always offers me something fascinating to reflect on. Most interesting is David. The idea of a creation observing his creators search for their creators is brilliant and endlessly captivating. Fassbender's portrayal is amazing as he is building on the legacy of Ian Holm and Lance Henniksen's portrayals of androids from earlier films in the series while playing a part which is entirely different. Yes the humans flail and bring about their own ends through their character flaws. David plays a complex and not completely clear role. I know it's frustrating the the film doesn't hold your hand and explain his every move. We need to reflect on his actions and the answers don't always come easy. That's part of what makes this film so watchable for me. 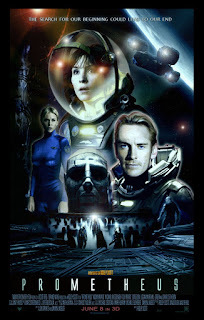 While I enjoy all the Alien films (yes even Resurrection) for what they are, they are all very different films with different agendas, for me Prometheus is the most in the spirit of the first film. They are like a mosaic, all parts of the same story but from different points of view with different results. This isn't The Lord of the Rings with a chapter one, two, three all the vision of one creative team. Like Alien, Prometheus explores a fascination and horror with birth, sexuality, and biology in a way that is extremely uncomfortable. Prometheus adds in areas of faith into this (as birth is tied to the nature of creation) in a compelling way. I think for many who wanted horror along the lines of being chased by a monster, the idea of horror at the nature of who we are and why was "disappointing" but for those of us more curious about the existential questions Prometheus became for more satisfying. The film isn't perfect and I find some of it's imperfections complicated. For example, one of my favorite scenes has to do with Shaw's cesarean. It is horrifying and I can watch it over and over. But the film's story doesn't quite earn it, it doesn't get us to the point where we need to it for this scene to feel completely organic. And then she recovers too quickly. This pulls me from the film each time. Yet I am torn because I love the sequence. I feel this way about a number of the narrative choices of the film. However the film is filled with great characters (none of whom get enough screen time except Shaw and David) and it has enough monster movie mojo for me dished up along side all the existential angst. The ending leaves me wanting more, which is a good thing. I hear we may not get the more we were anticipating (Shaw encountering the engineers) but will get something more in line with more Alien. I'm okay with that too. Scott has brought me back to the themes and ideas he started in 1979 and its a journey I am excited to continue.